To share this page, copy ﻿http://www.JeffResnick.com/s69.html﻿ and paste it into your social media posts! Perhaps the most wonderful benefit of retirement is TIME. The freedom to consider projects you just didn’t have TIME for while employed. 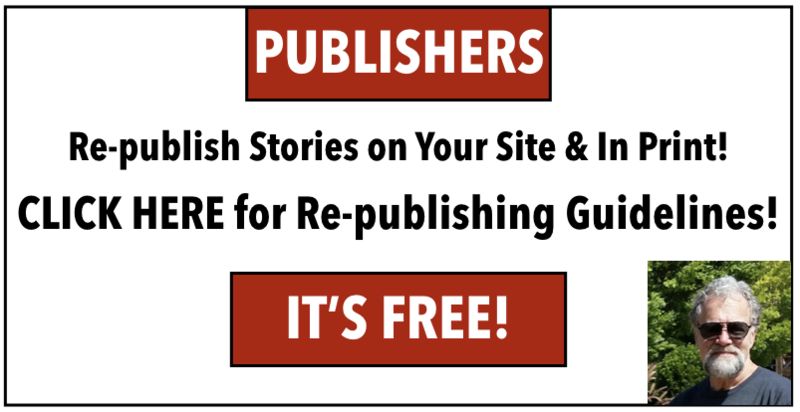 Indeed, “Stories for Seniors” is a massive project I never could have undertaken without the TIME I now have, enabling me to reach and entertain a worldwide audience. What is “The Jazz Storyteller” about? I’ve composed and performed Jazz my entire life. The Story I Tell is that of a young musician who matures over the years, personally and musically. That young musician is me. The menagerie of characters you encounter is based on real people I’ve known and loved throughout my musical journey. Things get a little other-worldly along the way, but an active imagination is what makes Storytelling so exciting. 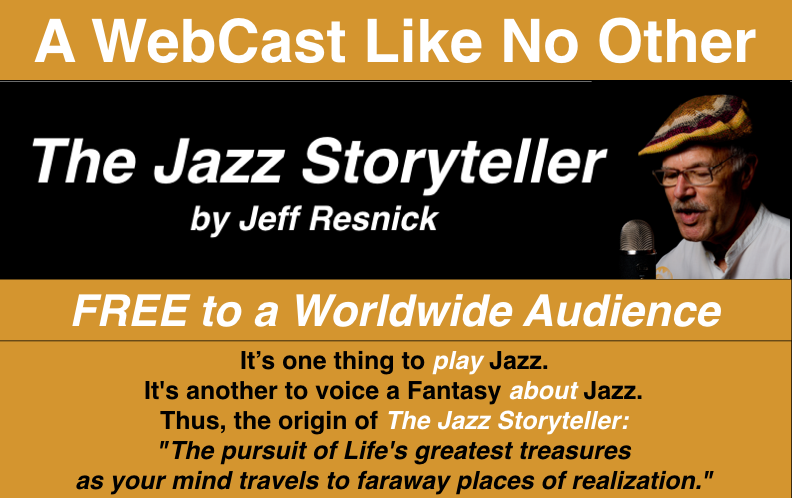 “The Jazz Storyteller” consists of 57 Audio Episodes in a unique Webcast format enjoyed by people around the world. You may not even realize that I’ve already published five of those 57 Episodes right here in “Stories for Seniors” in print format! but to listen to them in audio format, compliments of yours truly. It’s one thing to play Jazz. It’s another to voice a Fantasy about Jazz. The pursuit of Life’s greatest treasures as your mind travels to faraway places of realization.